Cortland is the current President & CEO of oSTEM, Inc. In addition to his role within oSTEM, Cortland works full-time at Accenture, a leading multinational strategy, digital, and technology consulting firm, as the Southeast US Strategic Operations Manager. Cortland holds a B.S. in Industrial Engineering from the University of Florida where he founded the UF oSTEM Chapter, served on the Presidential LGBTQ Concerns Committee adding “gender identity” and “gender expression” to UF’s non-discrimination policy, and was the Senior Ambassador for LGBTQ Affairs. For fun, Cortland enjoys exploring Atlanta, being outdoors, and trying new restaurants. Mr. Christopher Cross is a Translational Genomics Ph.D. candidate in Howard University’s College of Medicine. He received his B.S. 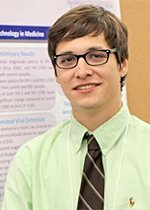 in Biomedical Engineering from the Georgia Institute of Technology in 2009, and his M.S. in Neuroscience in the Department of Anatomy at Howard University in May 2014. Since 2007, he has received training from the National University of Ireland Galway, Emory Healthcare, Harvard University, NIH, University of Copenhagen, Denmark, and the University of Toronto, Canada. Christopher brings to his role at oSTEM considerable leadership and fundraising experience as well as an extensive professional network cultivated via several pivotal opportunities including: Associate Curator for the W. Montague Cobb Research Laboratory; Science Fellow in the U.S. House of Representatives, Committee of Science, Space, and Technology for the 113th Congress; being named PBS Newshour’s STEM Superstar of 2015; Howard University 2015-2016 Graduate Trustee; Sigma Xi inductee; and lifetime member of the Bouchet Yale Graduate Honor Society. He is particularly proud of having established The Lavender Fund, the nation’s first official fundraiser for LGBT students at historically black colleges and universities (HBCUs). Ryder is a first year PhD student at the University of Miami, RSMAS, studying Meteorology and Physical Oceanography. A Department of Energy CSGF Fellow and a Point Scholar, Ryder uses numerical weather prediction models to improve hurricane forecasts alongside their personal background, educating people about severe weather preparedness. Their research background includes studying various tropical phenomena within their department, two years studying hurricane intensification at the National Center for Atmospheric Research, and applying hurricane expertise to machine learning algorithms at NASA Marshall Space Flight Center. Ryder received their B.S. in atmospheric physics from New Mexico Tech, turning a youthful dream of embracing science into a reality after thirty plus years. They have been involved in oSTEM since 2014, serving as the president of their school’s chapter for two years, as well in various positions with D & I. Ryder additionally volunteers as the student member of the Board of Women and Minorities with the American Meteorological Society. Ryder and their wife Lilian’s love story blossomed inside oSTEM, advocating together for safer campuses and empowered LGBTQIA individuals. If the couple isn’t stirring up community somewhere, you’ll find them exploring the beaches of Miami, most likely with 25 or so dogs in tow! John is a microbial chemical ecologist and a Ph.D. candidate in the field of Entomology at Cornell University. He is interested in animal-microbe interactions and microbiota-mediated animal behaviors, using fruit flies and their gut microbiota to address these issues. John previously earned a B.S. and M.S. in Microbiology at the University of Arizona. First introduced to oSTEM while at University of Arizona, John has continued to be a part of this organization serving as an officer at the Cornell chapter and volunteering with the Annual Conference Sponsorship Committee for two years before joining the executive committee as VP of Finance. Outside of oSTEM, John actively works to diversify graduate education by serving on a graduate student-lead initiative called the Cornell Diversity Preview Weekend, which seeks to aid individuals from historically margenalized communities in academia to apply to graduate programs through preparation and mentorship. Additionally, John is an avid reader of young-adult novels, hiker, and coffee connoisseur (a.k.a. addict). 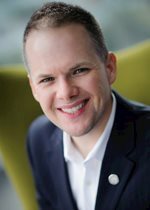 Rusty D. Pickens is the Vice President for Innovation and Technology for oSTEM and the Founder of 580 Strategies. He is the former Senior Advisor for Digital Platforms at the U.S. Department of State, and former Acting Director for New Media Technologies at the White House, where he led teams who operated cloud platforms for the Obama Administration to increase public engagement, improve user experience, enhance staff productivity, and heighten security posture. During this time, Rusty created new systems for and built new teams to lead Whitehouse.gov, the White House email outreach services, the Presidential correspondence system, the We The People petitions system, the White House Appointment Center, and the U.S. Embassy contact management systems. Rusty's two decades of leadership experience aligning organizational vision with technology strategy across top federal agencies and start-up environments includes the Federal Salesforce Community of Excellence, the U.S. Small Business Administration, the 2009 Presidential Inaugural Committee, Obama for America 2008, and the Chickasaw Nation of Oklahoma. In his free time, Rusty loves to geek out playing video games (#PCMasterRace) and Dungeons and Dragons with his local gaymers chapter, travel to far-flung places in the world to enjoy a new food and a good sunset, and visiting home in Oklahoma to enjoy the great outdoors a few times a year. Jonathan is a mechanical engineer who earned his degree from Rose-Hulman Institute of Technology. During college, he held multiple officer positions in his school’s LGBT club. While he was president, founded the oSTEM chapter on his campus and led the chapter to attend multiple conferences per year. After his term as president he continued to work with the officers and served on the MBLGTACC Oversight Committee for two years as a representative of Indiana. He has been involved with oSTEM for more than 7 years. He was a part of the oSTEM membership team before becoming the VP of Leadership and Education. Jonathan is currently a field service engineer and troubleshoots large machinery in manufacturing plants across the country. His job also entails training employees along with leading repair/maintenance projects. In his spare time he likes to play video games, pray, watch anime, read manga, code video game mechanics (just for fun), and of course volunteer with oSTEM. 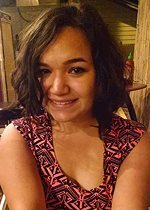 Lilian Martinez serves as the Director for Racial and Ethnic Diversity on the D&I committee at oSTEM. Her background is in Chemical Engineering, non-profit fundraising and event planning. Lilian has extensive experience with the LGBTQ+ community as a support group facilitator, event organizer, and advocate. Currently, Lilian works at Florida National University Office of Student Services. Her background makes her passionate about helping people (and puppies!) overcome extensive challenges. She offers support to underrepresented students navigating challenging experiences on their campuses. Chad Coarsey is a recent Bioengineering Masters graduate of Florida Atlantic University, and co-founder of the non-profit research and 3-D printed orthotics and prosthetic device company, the Bionic Glove Project. Chad lost his hand in a tragic alligator-related incident, and uses 3-D scanning and printing to bring custom solutions for upper limb amputees. Chad has published papers on point-of-care diagnostics for Ebola and other pathogens, and defended his thesis on a 20 minute automated lab test for HIV-1. During his bioengineering work in point-of-care diagnostics, he faced adversity in overcoming barriers to access in the laboratory; which further drove him into advocacy. 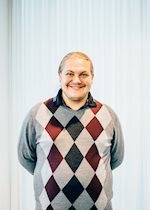 Aside from his professional work, Chad is a national oSTEM volunteer for the Diversity and Inclusion committee as Director for Disability Diversity, and leads the Disability Affinity Group. Jess Norman graduated from Worcester Polytechnic Institute in 2018, where they studied mechanical engineering. They also minored in aerospace engineering and international & global studies. They work at Pratt & Whitney, working with the turbine section of jet engines. During their time at WPI, they helped create training programs on campus to bring about increased inclusivity, assisted with the gender inclusive bathroom initiative, and helped found the oSTEM Affiliate Chapter. They are passionate about increasing acceptance and relationships between different identities, queer and otherwise, and supporting STEM education among disadvantaged groups. During their free time, Jess enjoys reading books, knitting, learning ASL, and watching cooking competition TV shows. Isis Rose (she/her) attended New Mexico Tech to study environmental science, and somehow wound up with an entirely accidental math degree as well, along with an accidental career as a math nerd. She is currently a professional data scientist with Booz Allen Hamilton, where she refers to herself as a Swiss Utility Scientist for her proclivity for doing a little bit of everything. A newcomer to oSTEM, she is excited to be getting involved and to have the opportunity to use her nerdiness for a good (data-driven) cause. Isis enjoys social justice activism, dancing, and finally tracking down that pesky bug in the code. Shayle is pursuing his PhD in marine biology at the Hawaii Institute of Marine Biology (HIMB) and the University of Hawaii at Mānoa where he uses 3D-imaging and DNA sequencing to study how corals will respond to future climate conditions. He is particularly interested in the intersection of technology and biology for creative problem solving in research and education, a passion that he developed during his MSc at the California Academy of Sciences and San Francisco State University. Shayle was a UC Santa Cruz banana slug during his undergrad, where he majored in environmental studies and feminist studies. Shayle is an avid science communicator and advocate for diversity in science. He is a member of the ComSciCon leadership team that hosts the annual National Communicating Science Workshop for STEM graduate students, and an ambassador for The Hydrous. Out of the lab, you can find him making watercolor Sketchnotes (@wrong_whale) and enjoying being out in nature as much as possible in Hawaii. Peter is an Industry Assistant Professor at the New York University Tandon School of Engineering. Having been a student at the, then, Polytechnic University, he always wished there were resources available for LGBTQ students and he now advises the oSTEM chapter there, as well as the Performing Arts Club. Aside from his faculty role, he serves as a Systems Administrator for the General Engineering program. In his free time, he helps run two Pokemon Go communities based in NYC, Pokemon Go Gays, and also serves as a Support Hero for the Silph Road. Annually, he participates in AIDS Walk NY and NYC Pride with the Apicha Community Health Center and GAPIMNY. Oh, and if you're looking to get married, he's also an ordained minister. Andrew is currently a VP of Customer Experience for Citi where helps to lead customer analytics platforms in all sectors of the US Retail Bank. He holds BS- mathematics and BS- actuarial science degrees from the University of North Carolina at Charlotte where he was involved in expanding oSTEM at the local level and attended the 3rd annual conference in NYC. Andrew enjoys volunteering his time in the local LGBTQ community, including holding volunteering positions with the Regional AIDS Interfaith Network, United Way, and the Ronald McDonald House. Outside of his crazy work schedule, he loves experiencing live music, drinking micro-brews, heading to the beach or mountains, and expanding his food palette. Michael works full-time at Pariveda Solutions, an employee-owned, strategic services and information technology consulting company, as a Senior Financial Analyst. 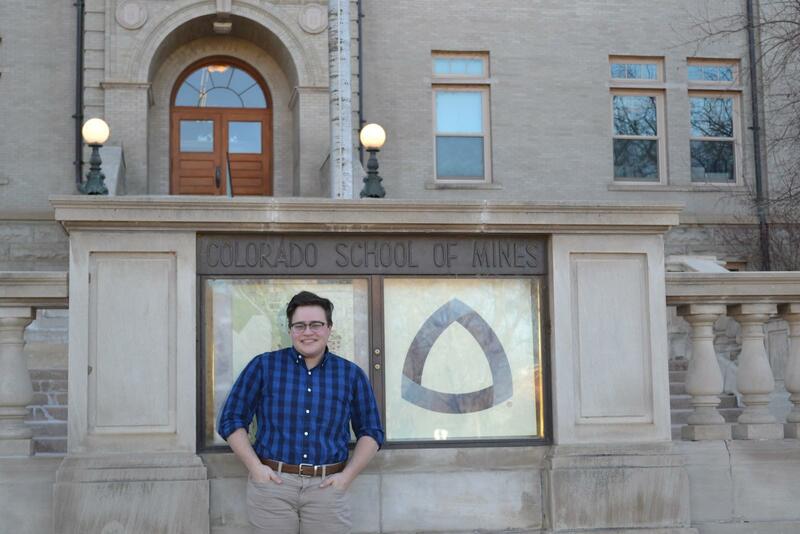 He helped establish the LGBTQ initiative within the organization and is the LGBTQ Diversity Lead. On the side, he helps plan and coordinate corporate events. He has a B.S. in Finance from the University of Texas at Arlington. For fun, Michael enjoys riding his Peloton bike, keeping active, glamping, being outdoors, and reading personal development books. Alec Bishop is a Senior Engineering Manager at Rockwell Collins based in Cedar Rapids, Iowa. He currently manages a team of 22 avionics displays software and systems engineers across multiple fixed wing military platforms for both the US military and international customers. He received a B.S. in Aerospace Engineering from Embry Riddle Aeronautical University in Daytona Beach, FL and an MBA from The University of Iowa in Iowa City, Iowa. Alec brings to his role within oSTEM leadership and mentorship experience within the professional engineering sector as well as a large network within the professional and academic sectors. In addition, he is very passionate about fostering and creating diverse teams and sees tremendous value in empowering the next generation of leaders within the engineering industry. When he isn't working, Alec is an avid traveler and pilot, enjoys exploring the Midwest on his bicycle, and is a voracious reader. Lieutenant Colonel Bryan Bree Fram, B, is an active duty astronautical engineer in the US Air Force currently serving as Materiel Leader, Cyberspace Integration and Transition at the Air Force Research Laboratory Information Directorate in Rome, NY and is currently executing a budget in excess of $100 million. B's previous assignments include Air Force International Affairs (Iraq Country Director), Executive Officer to the Director of Strategic Plans and Programs, Military Legislative Assistant to Congresswoman Madeleine Bordallo, multiple space program management assignments, and deployment to Qatar and Iraq as part of Operation Iraqi Freedom. B holds a master's degree in Astronautical Engineering from the Air Force Institute of Technology and a Bachelor's in Aerospace Engineering from the University of Minnesota. Lt Col Fram publicly came out as transgender (gender-fluid/non-binary) on the day the transgender ban in the military was dropped in 2016. B's use of name and pronouns are based on gender-presentation, electronically either work. B has received the warm support of friends, family and colleagues and has provided a number of educational briefings on transgender and diversity issues to military and civilian audiences. B has been married for 14 years to Peg Fram and they have two girls, age 10 and 6. Hello! My name is Noah McQueen (They/Them or He/Him Pronouns) and I am a Leadership and Education Member at Large for the oSTEM organization! I currently am a graduate student studying chemical engineering at Worcester Polytechnic Institute (WPI) in Massachusetts where my thesis research surrounds carbon capture technologies, specifically mineral carbonation technologies and CO2-selective membrane separations. I also work as a graduate teaching assistant, teaching concepts surrounding mass and energy balances, mass transfer, thermodynamics, fluid dynamics, and other fundamental chemical engineering course material. In my free time, I love intersectional social justice advocacy and helping bridge the perceived gap between the LGBTQ+ community and STEM education/professions. I also enjoy hiking, biking, cooking, and cuddling with my wonderful cat! Makayla is the Director of External Marketing at oSTEM. She is currently pursuing an B.S. in Cybersecurity and Forensics at Hodges University. She is also an experienced IT professional and has held roles as a field service tech, network administrator, and cyber security hardware and software tester. Makayla was first introduced to oSTEM when she attended the 2015 conference. Her experiences there were so great that she wanted to become a part of it and introduce oSTEM to others. 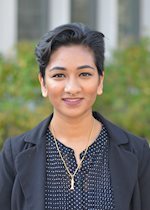 She joined the Conference Outreach Committee in 2016 and is looking forward to raising oSTEM’s visibility in her new role. Outside of oSTEM and her education and career, Makayla enjoys surfing the net and social media, running/biking, traveling, and hanging with friends. She also loves video games and getting her hands on the latest technology. Currently, Janine is the Director for Design for oSTEM. Previously, she served on the Conference Team Logistics Committee for 2016 and 2017. Janine is currently a civilian engineer for the Navy. She holds a B.S in Chemical Engineering from New York University and a minor in Computer Science. She helped found the oSTEM @ NYU chapter and was president for two years. In her spare time she can be found reading sci-fi/fantasy books, playing Overwatch, hiking, or working on web/design projects. Eric is oSTEM's Marketing and Communications Manager, and the Vice President of oSTEM's NYU chapter. A senior at the NYU Tandon School of Engineering, he is working toward a B.S. in Electrical Engineering. Eric first got involved with oSTEM through the NYU local chapter, and attended the 2016 National Conference. When he isn't "queering up" spaces on campus (which he almost always is), he's organizing the global hackathon, HackNYU. In his spare time, Eric enjoys taking walks around New York City, eating pho, singing, and writing poetry. Mike recently completed a dual Master’s degree in business and environmental management at Duke University. He now works for an energy company in the Boston area, focusing on developing innovative offerings for customers. While at Duke, Mike founded the university’s oSTEM chapter. 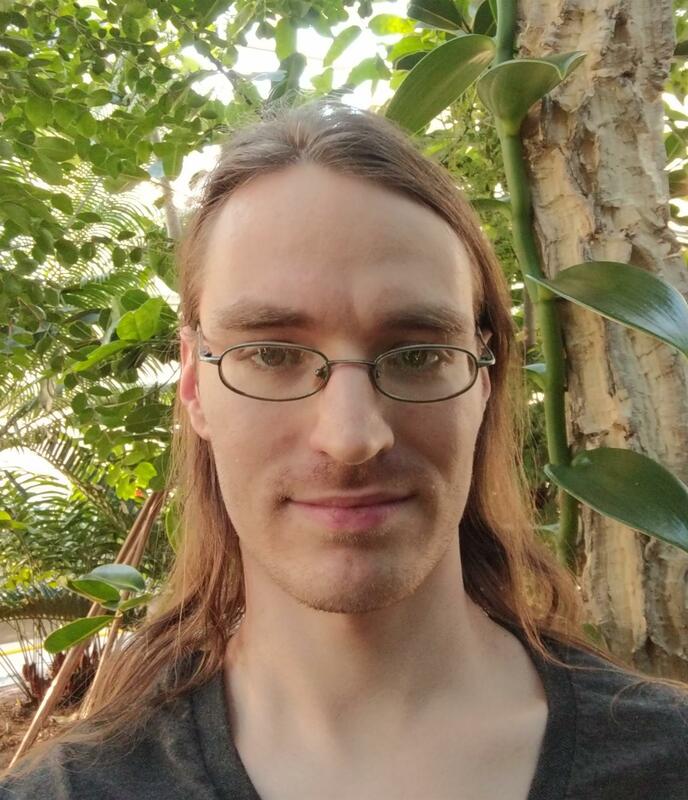 Prior to graduate school, Mike worked for a start-up engineering a naturally occurring microorganism to renewably produce fuels while also sequestering waste carbon dioxide. Mike has experience mentoring students in STEM from elementary school through college age. For fun, Mike likes to swim, cook, brew beer and play the drums. Sindhu is a recent graduate from the University of Michigan with a BSE in Chemical Engineering. She is currently working as an associate engineer in the Materials Engineering division at Toyota Technical Center in Ann Arbor, MI. She was a founding member and board member of the University of Michigan's oSTEM Chapter, which became one of the largest and most successful LGBTQ+ organizations on campus. She is also involved in sexual assault prevention work through programs for first year students to learn about healthy relationships and sexual health. Pat Linzo is an undergraduate student at Worcester Polytechnic Institute, studying biomedical engineering with a concentration in tissue engineering and biomaterials. Born in the Philippines, they immigrated to New York City at the age of 4. They were a founding member of WPI's Affiliate oSTEM Chapter. They served as president for two years and currently serve as secretary for the chapter. In their time as an executive board member, they have expanded programming to be inclusive of queer people of color, the asexual and aromantic spectrum, and other underrepresented members of the WPI community. In addition to oSTEM work, Pat is also an admissions tour guide and the treasurer for WPI's Gender Equality Club. In their spare time, Pat enjoys playing viola, singing karaoke, and 10 pm Walmart runs. William is a 4th-year undergrad at Georgia Tech. He is studying electrical engineering with minors in German and industrial design. His main interest lies in designing and maintaining wireless systems and products to work in a rapidly changing environment. Outside of academics, William is a resident assistant for first-year students and a student assistant for the Georgia Tech Honors Program. William is involved in Georgia Tech's student-led LGBTQIA organization, Pride Alliance, and serves on Georgia Tech's Student Government to address a number of issues facing the community on Georgia Tech's campus. In his somewhat limited free time, William likes to go grab a bite with friends, explore Atlanta or hang out with his residents. David is an electrical engineer at Raytheon Company, where he designs test systems for use in manufacturing. He is a member of Raytheon's GLBTA Employee Resource Group and is coordinating volunteer/ outreach events. David holds a Bachelor of Science degree in Electrical Engineering from Penn State University. While at Penn State, he was an active member of the oSTEM chapter and theatre groups on campus. He enjoys being active, exploring new places, and musicals with lots of dancing. Matthew is currently working as a Research Chemist. As a research chemist he is responsible for the development of new products, solving customer complaints and requests, and developing creative solutions to problems in the water treatment business. He hopes to return to graduate school to complete a PhD in organic chemistry determining the structure of natural products. While not at work Matthew enjoys volunteering and being active in professional orginizations like Alpha Chi Sigma, a chemisry professional fraternity. His involvement with oSTEM began in 2015 when he was selected to be the Conference Programming Committee Chair. Matthew has served as Programming Committee Chair since 2015. For fun, Matthew enjoys exploring various restaurants, parks and bookstores in the greater Chicagoland area. Courtney graduated from The College of New Jersey with a B.S. in Chemistry in 2016 and is now pursuing a Masters of Arts in Teaching at Monmouth University. After graduating this upcoming May, she plans on pursuing a career teaching High School Chemistry in New Jersey. Courtney first served on the progamming committee for the 2016 oSTEM conference and last year she served as the outreach committee co-chair for the 2017 oSTEM Conference. This year, she has returned to the conference team to serve on the programming committe for the 2018 conference and is looking forward to meeting everyone in Houston! In her free time, Courtney enjoys playing video games, riding her longboard, and binge watching Netflix with her girlfriend. Mike Giordano is a recent graduate of The College of New Jersey with a B.S. in chemistry. His research in protein conformation biophysics included mapping the folding pathway of large, multi-domain proteins and the effect of mono- and trivalent cations on small, intrinsically-disordered peptides. He also participated in a research project that utilized rat models to study the effect of environmental enrichment on alcohol and sucrose consumption when presented concurrently. Mike plans on pursuing a Ph.D. in pharmacology to study neurological and psychiatric conditions. Throughout Mike’s undergraduate career, he was active with PRISM, the only LGBT+ organization on campus. He was also a founding member of Delta Lambda Phi at TCNJ, the fraternity for gay, bisexual, and progressive men. In his spare time, Mike likes to read, watch movies, and run, and he plays way too much Smash Bros and isn’t ashamed to admit it. He is an amateur merengue dancer and once won a Mario Kart tournament with his toes. Drew Weidner is an alumnus of the University of Colorado Boulder, where he earned a B.S. in Chemical Engineering. During his undergraduate career, he was involved with the Student Alliance of GLBT Engineers (SAGE) as a member, treasurer, and president and attended the 2013 oSTEM National Conference in New York City. Drew currently works for Intel as a process engineer in Chandler, AZ, where he optimizes and troubleshoots high-volume manufacturing of Intel processors. He is also pursuing his M.S. degree in Materials Science and Engineering from Arizona State University. He hopes to advocate for and increase the visibility of LGBTQ+ students in STEM, ultimately empowering them to own their sexual orientation and gender identity personally and professionally. In his free time, Drew is a tabletop and video gaymer and enjoys hiking, camping, line dancing, and trying new craft beers. Cristian Alonso graduated from the University of Texas A&M with a B.S. in Civil Engineering. As an undergraduate, he helped to co-found his university's student chapter of oSTEM and attended the 2017 oSTEM National Conference in Chicago. Cristian currently works for Dunaway Associates as a traffic engineer in Fort Worth, TX, where he designs traffic signals and performs traffic impact studies on new developments. As an LGBTQ+ advocate, Cristian is working to increase the visibility of LGBTQ+ STEM students within the professional community, and hopes to set an example for students. In his free time, Cristian enjoys exploring DFW, visiting art galleries, and hanging out with friends. Rishabh grew up in 12 cities ranging from the African savannah to the banks of the Ganges. 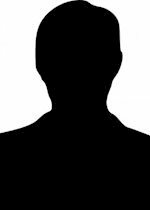 He is currently a graduate student in the Industrial and Systems Engineering Department at the University at Buffalo, and plans to start his PhD in the fall of 2018. His ongoing research involves finding optimal locations and routes for a mobile food vending facility (science for food trucks). Additionally, he volunteers on the Diversity and Inclusion Committee within the Institute of Operations Research and Management Science, with the hopes of bridging the inclusion gap in his field. Outside his professional career, Rishabh is an avid baker and likes to experiment with different flavors and ideas, and everything he bakes has to be photographed. He also enjoys running, watching television, and exploring the cities he lives in, starting with the restaurants. Jared grew up in the frigid, icy north (Fairbanks, Alaska) before moving to New Mexico to pursue his education at New Mexico Tech. There, he currently studies physics and electrical engineering and plans to begin PhD studies in physics in Fall 2017. He is concluding his reign of 2.5 years as president of the Society of Physics Students at NMT. During this time he served on the SPS National Council for a year as the AZ/NM Associate Zone Councilor. He worked at Los Alamos National Lab, the Air Force Research Lab, and in the NMT Department of Physics on various research projects during his time at NMT. When not completing coursework or designing new physics demonstrations, Jared can be found running/hiking/biking with his dog, experimenting with a VR headset, or (rarely) chipping away at his sleep debt. Trey Ramsey earned a B.S. in Plant Sciences from Cornell University, where they now work supporting entomology and ecology research through the care of greenhouse plants. They have a strong interest in public gardens and in the biological control of plant pests and are working to combine their love of insects, horticulture, and outreach. Trey intends to enroll in graduate school in the fall of 2019. Trey is a board member for Cornell's graduate student-focused oSTEM chapter and is active in Cornell's LGBTQ staff group. During their undergraduate career, Trey was the education and advocacy intern at Cornell's LGBT Resource Center and was a leader in the queer activist organization on campus, primarily advocating for trans justice. Outside of work and advocacy, Trey enjoys playing a variety of games, from Dungeons and Dragons to video games, and spending time outdoors.